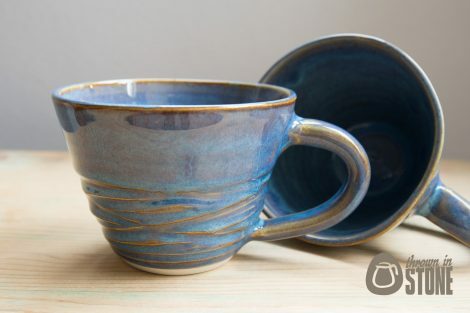 These mugs were hand thrown on my potters wheel using strong white stoneware clay and texture applied to the outside. 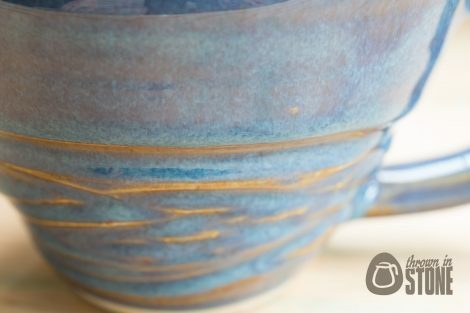 Finished in a stunning lustrous denim blue glossy glaze which highlights the texture beautifully. 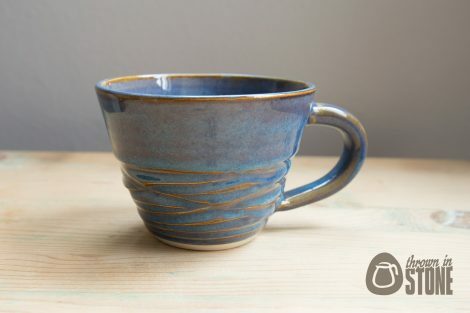 Perfect for your morning cappuccino or afternoon tea! 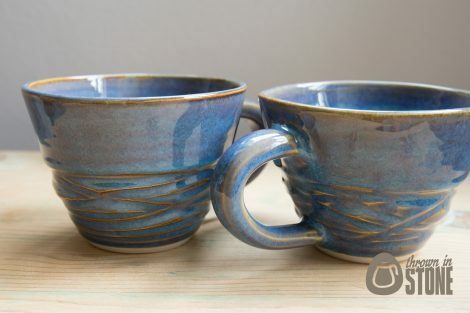 This listing is for a set of two mugs*. 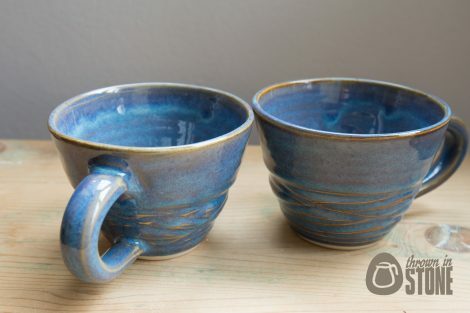 These cups hold approx. 410ml. 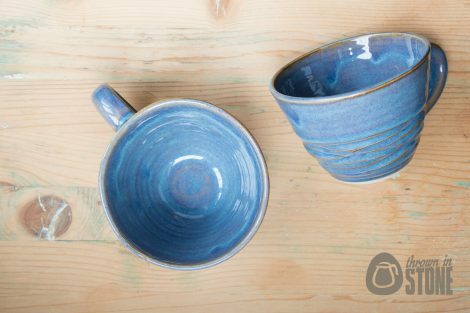 *Whilst these are a matching set, as with all handmade ceramics, there may be slight variations in size, shape and colour. 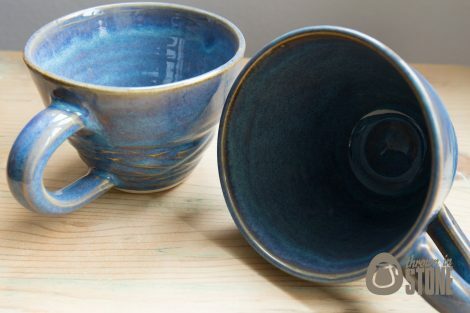 The photographed items are the actual ones you will receive.